Knots become difficult to undo when repeatedly loaded. Sewn terminations create connection points that allow easy rope removal, even after repeated loading. They also speed up rigging, as there is no set up time to create the connection point. This is useful in time critical situations such as rigging for rescue. Sewn terminations are stronger than knots, which can dramatically reduce a rope’s breaking load. They are also less bulky, making it easier to pass the termination through anchors like fixed rigging eyes and cambium savers. Short termination lengths let you work closer to your rigging, and give more useable rope. 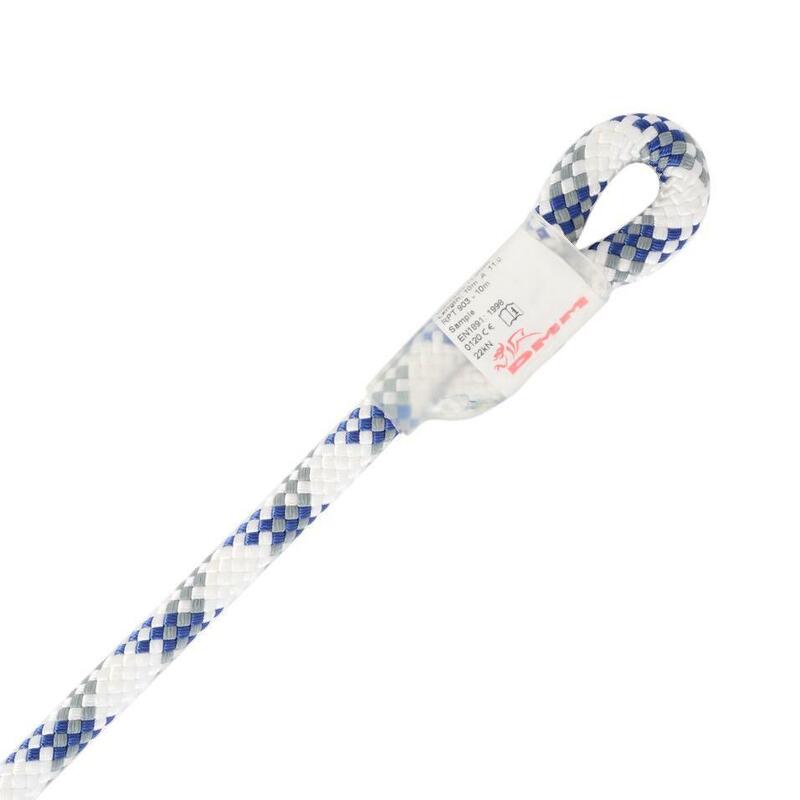 Unlike knots and splices, sewn terminations have a guaranteed minimum breaking strain of 22kN. All our sewn terminations are made in our factory in Wales. Advanced CNC technology and precision sewing patterns mean our sewn terminations are made to the same exacting quality as all DMM products. Contact our Sales department to discuss your custom rope length requirements.